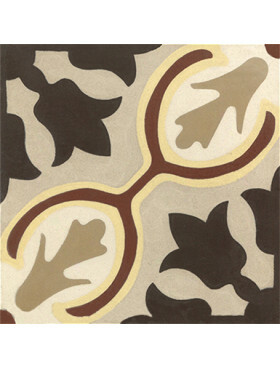 Buy the Torino pattern cement tile at Tango Tile. 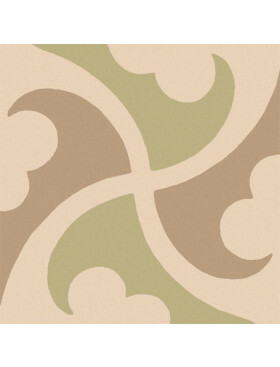 From Original Mission Tile, Torino-01 is a 4-piece pattern in Jaune Fonce, Chocolate, Braun Camois, and Jaune Clair. It comes standard with a "regular" finish used for indoor spaces, but can be ordered in either a "rough" or "relief" finish appropriate for indoor or outdoor spaces. Sold by the box; Each box contains 12 pieces, totaling 5.22 square feet ($15.71/square foot). 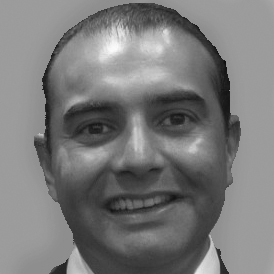 Estimated lead-time is 6-8 weeks. 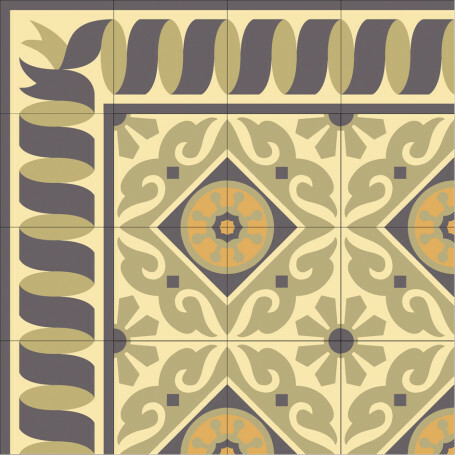 Is there a better combination of beauty and practicality than cement tiles? We don’t think so. 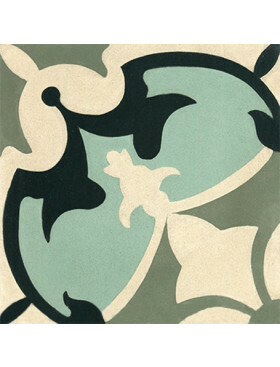 Cement tile appeared in the 1850s in the south of France. They were exhibited in the Paris International Exposition of 1867 by the French company Garret & Rivet. Since then they have had periods of popularity and periods of disfavor. Today with wonderful new designs, new finishes and techniques, and an environmental consciousness they are very much back in the limelight. Cement spans the gamut of traditional to very modern and everything in between. 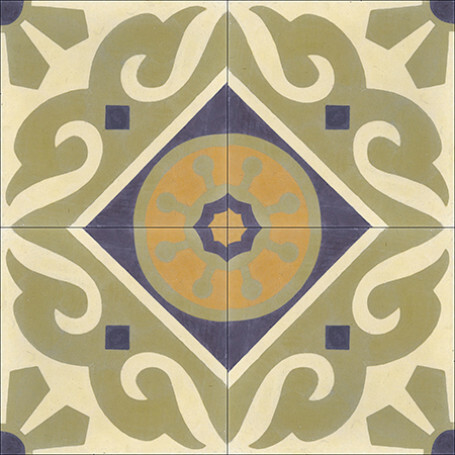 Cement tiles are on-trend and timeless! 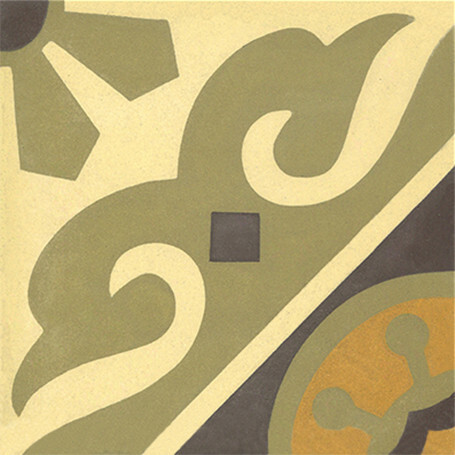 Cement tiles are made by hand, one at a time, using mineral pigments, cement, a mold, and hydraulic press (click here to see video). The metal mold is handmade following specific design drawings. The pigment composition is a mixture of high quality white Portland cement, marble powder, fine sand, and natural mineral color pigments. The process is extremely environmentally friendly using only natural materials and since the tiles are not fired, little energy. 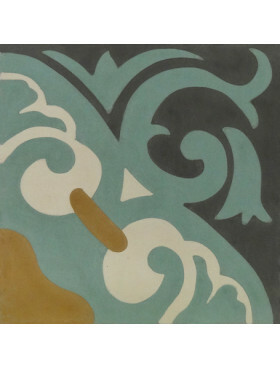 Because they are handmade, cement tiles are expected to have slight imperfections, which give them character and depth. The Classic Collection presents time-honored designs. 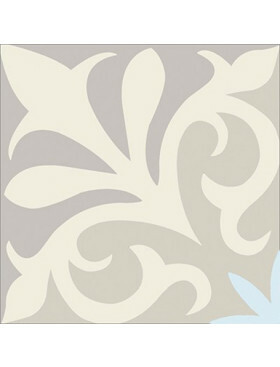 We show them in traditional colors, but all patterns can be order in any color desired. Please see Product Information Sheet for options.